BravoPokerLive makes it a breeze to check out the current live action and tournaments in local poker rooms utilizing the Bravo poker room management and player tracking system. 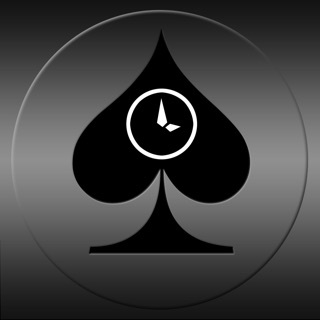 BravoPokerLive will keep you up to date with the latest poker room information, promotions and much more. The listing distance is configurable as well as your current location. 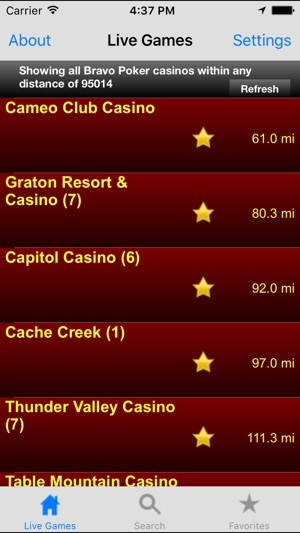 Use the search function to find the nearest poker room playing your favorite live game or tournament. Supports a favorites feature to make it quick and easy to see what your favorite rooms are up to. 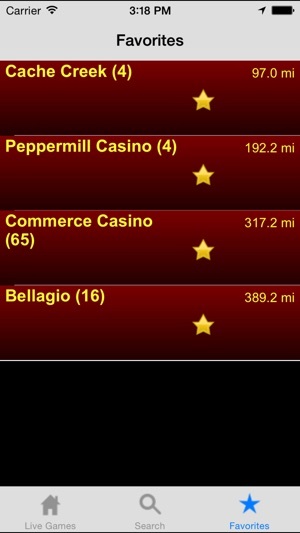 NOTE: NOT ALL POKER ROOMS LISTED. 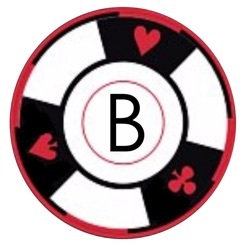 ONLY ROOMS USING THE BRAVO POKER SYSTEM. © 2017 Genesis Gaming Solutions, Inc.